It works with Tobacco. I don't like punitive taxes that punish the consumer, but the results show that raising taxes on a pack of cigarettes will cut down on the number of packs purchased. The evidence is easy to find, according to the Campaign for Tobacco-Free Kids, "every 10 percent increase in cigarette prices reduces youth smoking by about seven percent and total cigarette consumption by about four percent." With this in mind, I think we need to target something else that hurts our youth and many of our adults as well. It's way more damaging to the spirit and soul than tobacco. 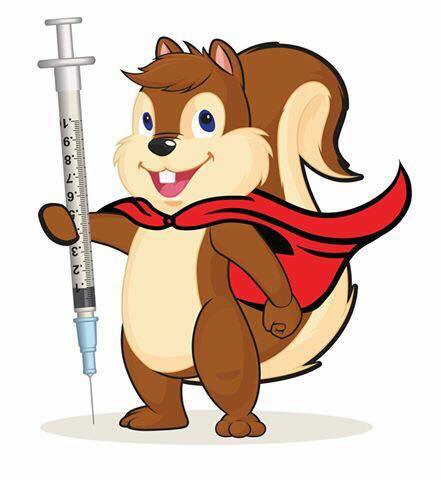 We need to encourage the Eureka City Council to place a tax on hypodermic needles. Used to inject fatal substances on our streets, a tax on hypodermic needles could reduce injections by as much as 10%, if the evidence on tobacco is any indication. How would the tax work? There are currently several agencies and non-profits that hand out free needles in Humboldt County. At the last Eureka City Council meeting, the City Manager made the comment that they have not been able to find an example of a "good needle ordinance." The City Manager's comment is correct, because there is no feasible way to supervise the handing out of needles for illegal use! Instead of trying to craft an ordinance for an impossible situation, I believe we should abolish the needle exchange program. Handing out needles enables criminal behavior and actually makes it more difficult for addicts to get off their substance of choice. Unfortunately we have a city council that supports enabling. And this problem encourages the so-called 'One for One' requirement, as the Sharps Containers cannot be opened and inspected when the needles are handed out. While it sounds good, one for one is impossible to enforce. With this in mind, our second best option is to tax needles. For every needle handed out, the organizations should have to pay a fee to the City of Eureka. The revenues generated would go toward City-wide cleanup efforts, investments in education and maybe even some monies for mental health services. Once the new tax is in place, the City Council would need to raise the tax every year, to ensure that the number of needles on our streets goes down. The hospital-based and non-profit programs that hand out needles will be able to handle these new costs with ease, as there is a wide variety of grants and private fundraising opportunities available. There are a few refinements, like the fact that we would need a tax waiver for diabetics and those on legit prescription drugs, but those are details that should be easy to handle. City budgets are often very fragile, because of the temptation to get dependent on state and federal grants, hand outs that can disappear without notice! A Tax on the number of Hypodermic needles handed out in Eureka, would be a blessing for our city's budget, as its revenue to our local government that we can depend on. Our city council says we can't stop these needles from being handed out, if that is the case then let's at least protect our children and impose some punitive taxes. And maybe someday we will wake up to a time when we can have needle-free streets, because no agency will want to pay the taxes that go with free needles.